We are a small friendly team and our aim is to provide you with excellent dentistry that is suited to your needs. 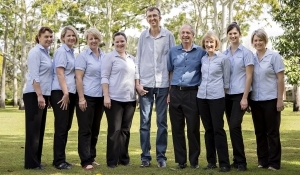 You will find us in Mary Street, the main street of Gympie, where we will look after all aspects of your dentistry. Your comfort and trust are very important to everyone in the practice and we all strive to ensure that your visit is relaxed and pain free. We accept all major credit cards and offer HiCAPs immediate Health Fund rebates. Call us for an appointment, you will receive individual and caring attention. Limited emergency cover on weekends, please phone our main office number to contact us.